Valentine's day is just around the corner and you would like to make a pretty heart-shaped cake for your sweetheart. But you don't have a heart-shaped pan. 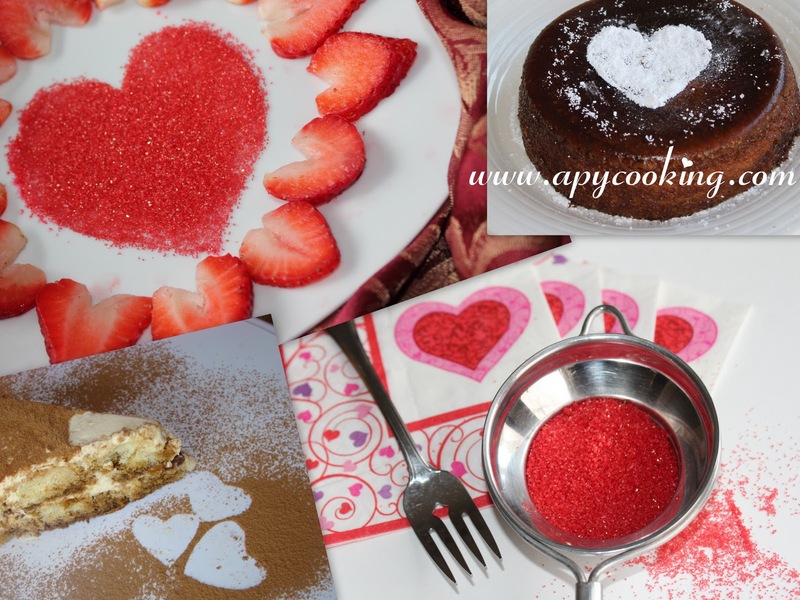 No worries, just sprinkle some powdered sugar, sugar sprinkles or cocoa powder on your cake and there, love is all around!! If you are decorating a cake with icing, make sure the icing has set properly. Take a parchment paper and cut out a heart-shaped design on it. 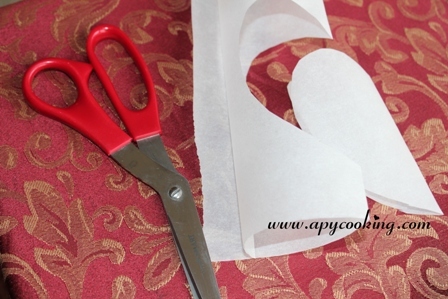 [Parchment paper should be used because it sticks easily to the icing and can be peeled off easily too. If the cake does not have icing then you may have to grease the parchment cut-outs with a little oil or butter so that they stick easily to the cake]. 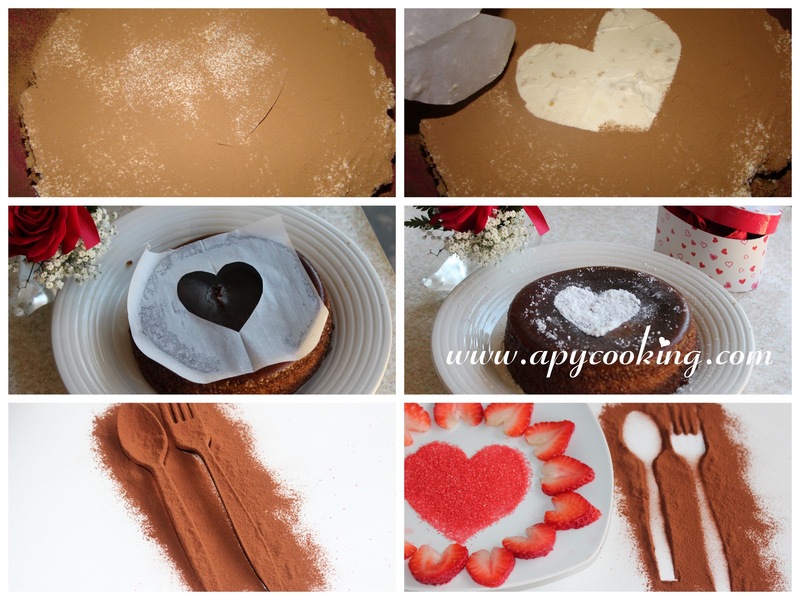 Place either the heart design or the outline on the cake. In a small strainer, pour a little powdered sugar / coloured sugar crystles / cocoa powder (contrasting the colour of the cake / icing). Sprinkle on the cake. Remove the design and ta-da!! 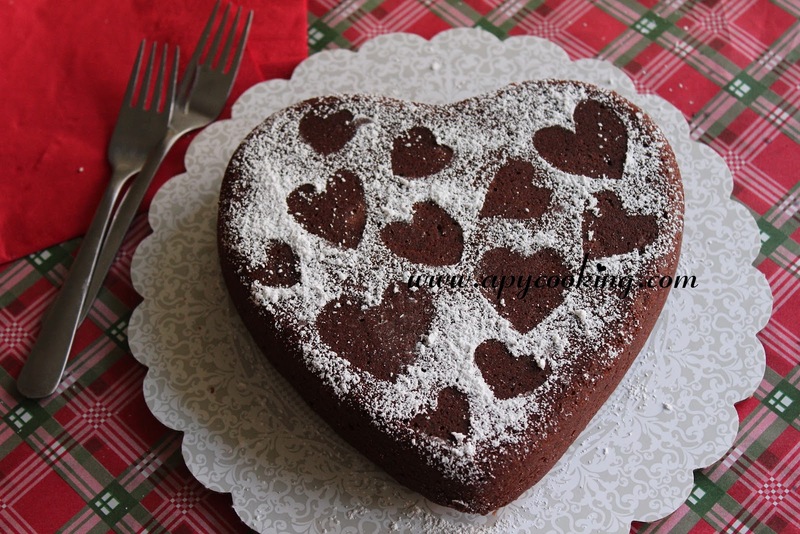 You can decorate a large cake with little hearts all over. You can even decorate your plates or cake-boards with designs of your choice. Go ahead, impress your Valentine! 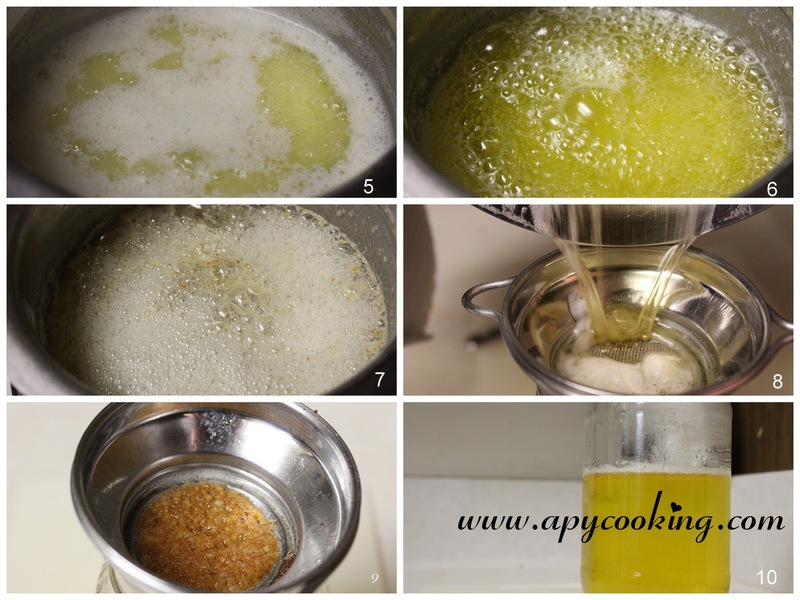 This post is for those of you who (like me) have never made butter at home but would like to try your hand at making ghee. The ghee here is made with store-bought butter which comes in slabs or "sticks" as they call it here. Each stick is 1/2 a cup so I have totally used 2 cups (453g). 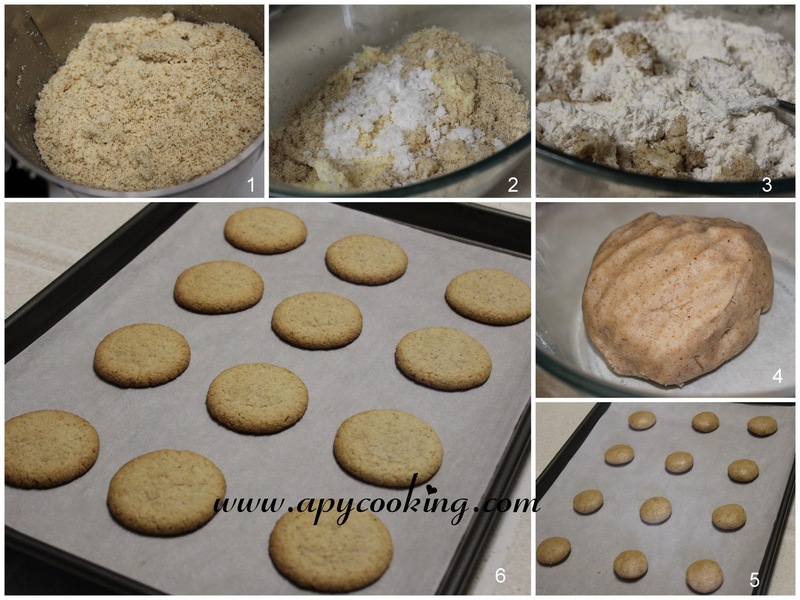 You can easily reduce or increase the portions and the cooking time will vary accordingly. Also, the store-bought butter (ateast the ones we get here) don't leave behind as much residue as the homemade ones and it is easier to clean the pan once done. If you are using home-made butter you may want to use a kadai as opposed to the regular vessel I have used. 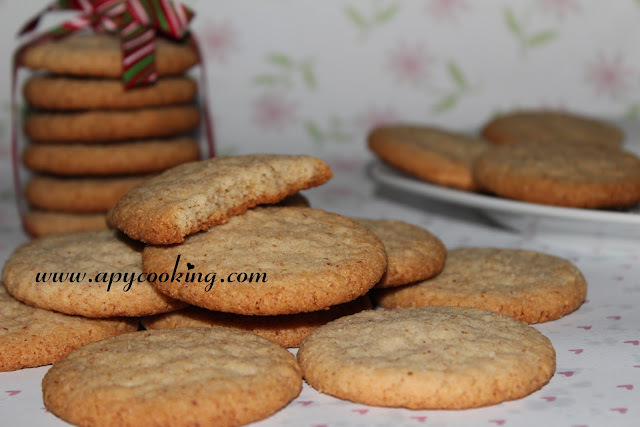 Don't use high heat to quicken the process, the butter could burn and stubbornly stick to your pan. In a deep bottomed pan, melt butter on medium or medium low heat. Once the butter melts completely you will see froth forming on top and you will hear hissing and crackling sound which will go on for a few minutes. Stir once in a while. The milk solids will now start separating and the foam will start clearing. Stir every minute. Simmer. Watch carefully. 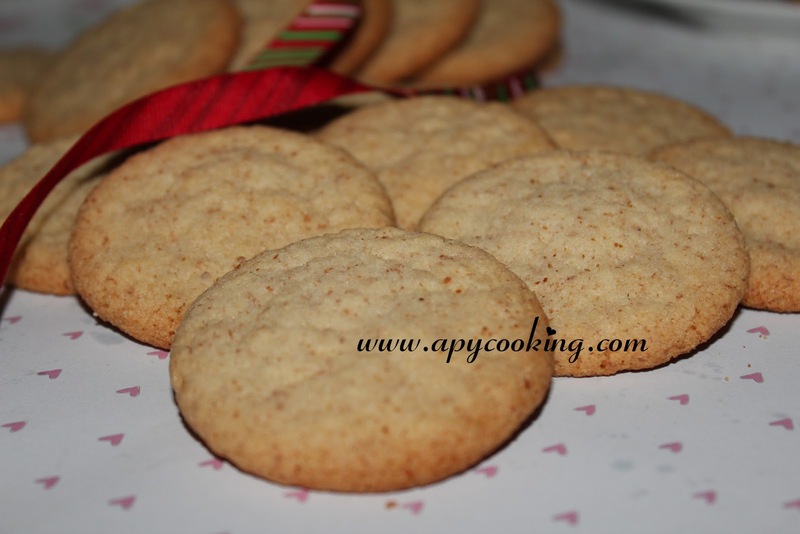 After a few minutes, you will start getting a nice aroma and you will notice light to medium brown residue on the sides and bottom of the pan. 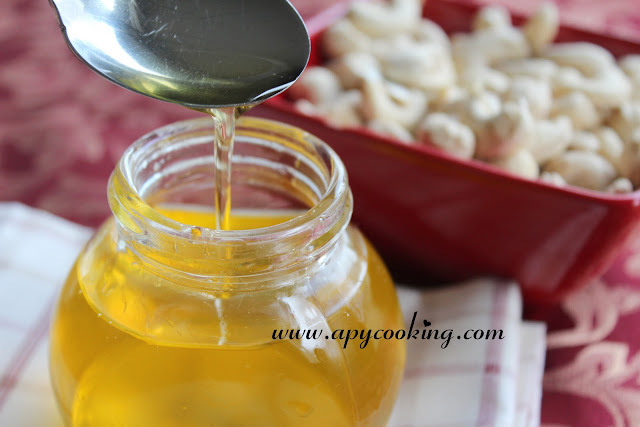 [Scoop out some ghee from the bottom of the pan to check]. This means the ghee is done. Remove from flame when you see [and only after you see] this residue. 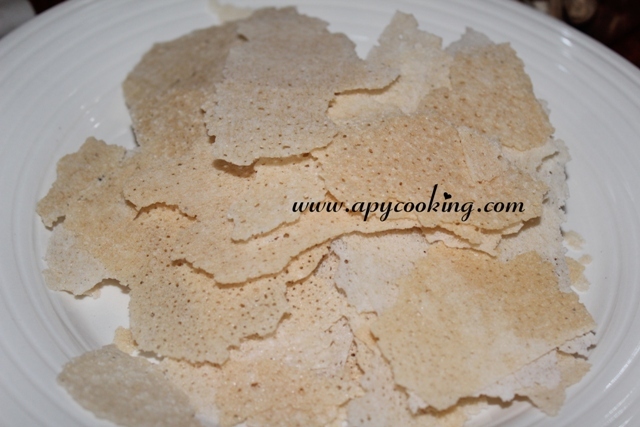 Otherwise they will get darker and the ghee will also get darker and have a burnt smell. Sometimes people add turmeric leaves for a nicer aroma and a pinch of salt towards the end so that the particles don't stick to the pan. Allow to cool a bit. Using a strainer transfer the ghee into a glass or steel container. [You may want to avoid plastic container if the ghee hasn't cooled completely. 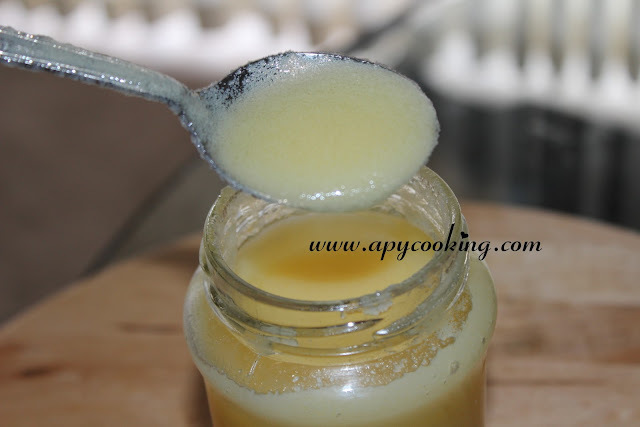 You can always transfer it once the ghee cools down]. Strain again if required. The ghee will solidify in a few hours. There are certain words which make a Mangalorean's ears perk up. "Gheeroast" and "Kori Rotti" are a couple of them. 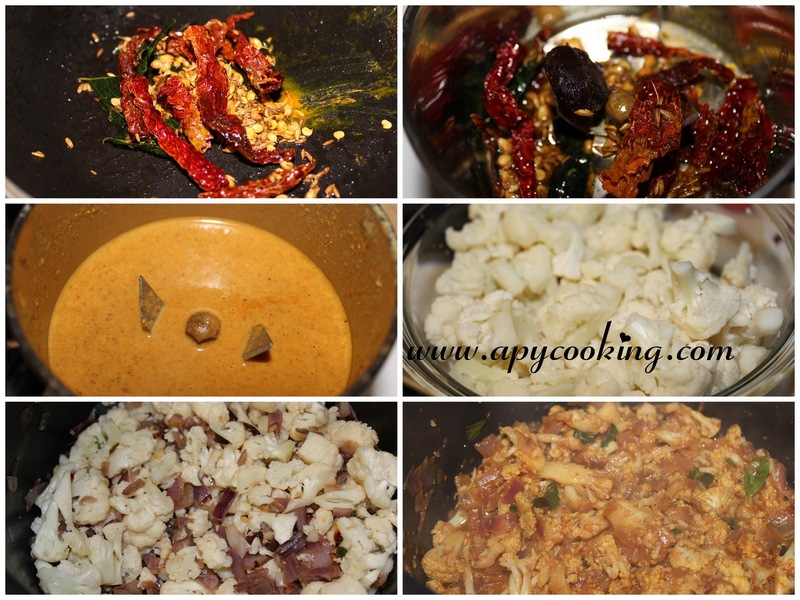 Ask any non-vegetarian Mangalorean what his favourite food is and kori rotti will probably feature in his top 5. 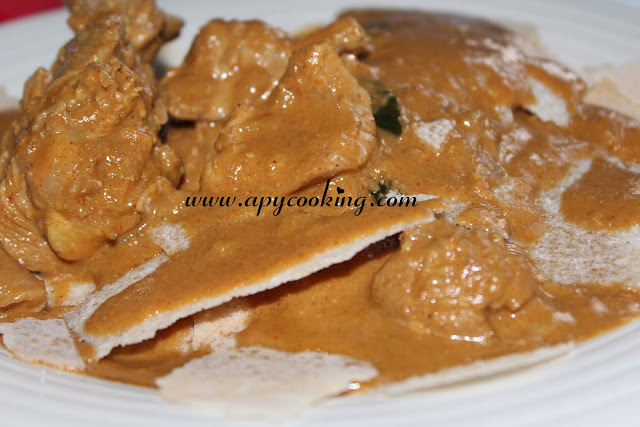 Kori rotti essentially means chicken curry on rice rotis. The "Rottis" are thin crispy sheets made of rice which soak up the curry and turn deliciously soggy. 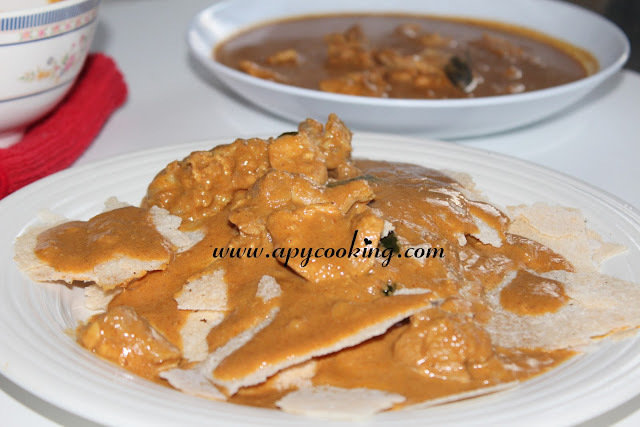 Half the fun of having this curry is with the rottis - they are definitely a great accompaniment. For the chicken curry recipe, I resorted to the internet and saw it featured on several websites. 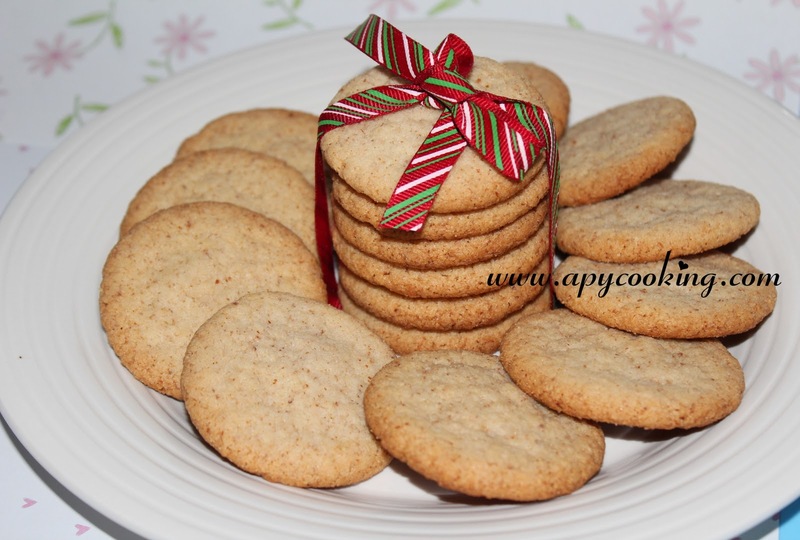 I read through the recipes and adjusted the spices as I was cooking. 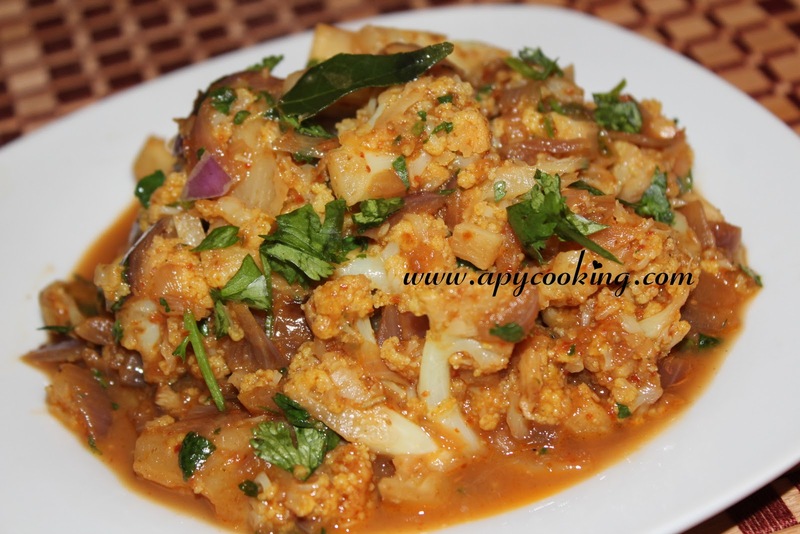 In a large deep bottomed pan, heat oil and sauté onions till they turn brownish. Remove half of the roasted onions and transfer to a blender. Keep the large pan aside. In a small pan, heat 1 tbsp oil. Roast coriander seeds, jeera, cinnamon, cloves, cardamom, red chillies, ginger, garlic and coconut on a low flame till they are lightly roasted and you get a nice aroma. 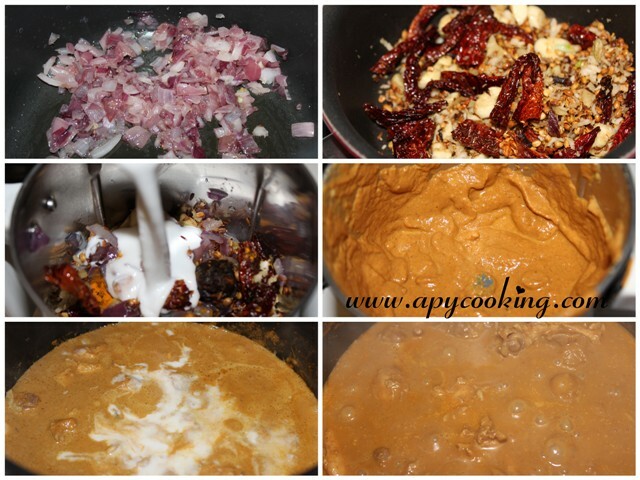 Transfer this to the blender and grind along with the previously roasted 1/2 onion, haldi powder, tamarind, 1/4 cup coconut milk. 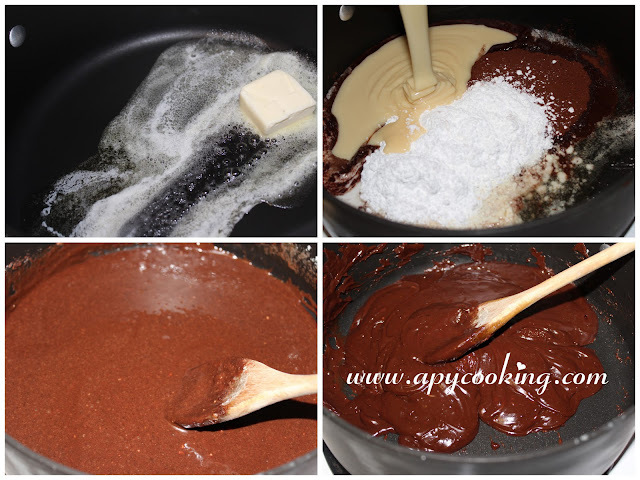 Add about a cup of water little by little as you blend into a smooth paste - make sure the paste is smooth. In the large pan (which already has 1/2 the roasted onions), pour this paste. Add chicken pieces and salt and mix well. 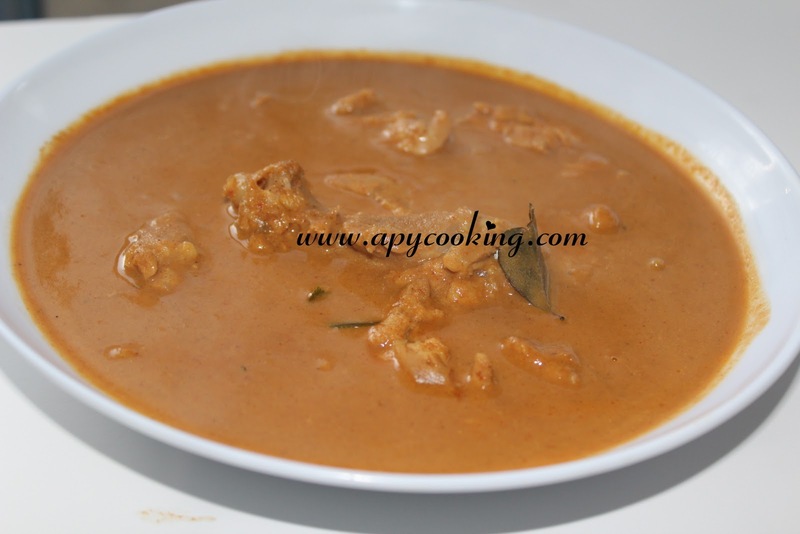 Add 1/4 cup coconut milk and 1/2 cup water and cook covered for about 40 minutes or till chicken is completely cooked. Add more water if required, adjust salt and cook for a few more minutes. To serve, place the rottis on a plate, pour curry all over it, wait for a few seconds till the rottis get soggy and enjoy! Being born and brought up in Mangalore, I've been an avid sea-food lover. 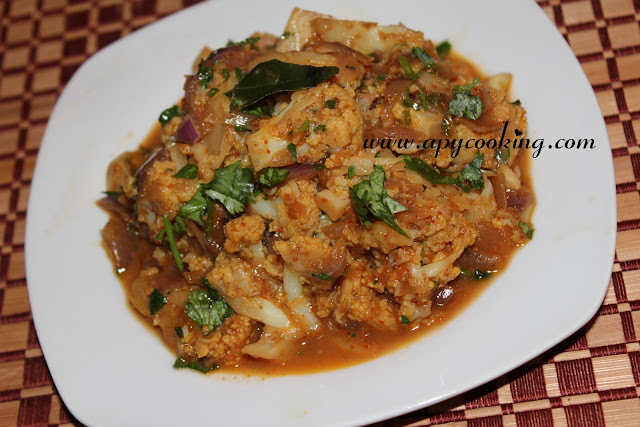 I enjoy eating fish when it is cooked in typical "amchi" style and this particular dish is my all-time favourite. My mom makes sure a plate of hot steaming sungta ghashi is ready for me whenever I land in M'lore. 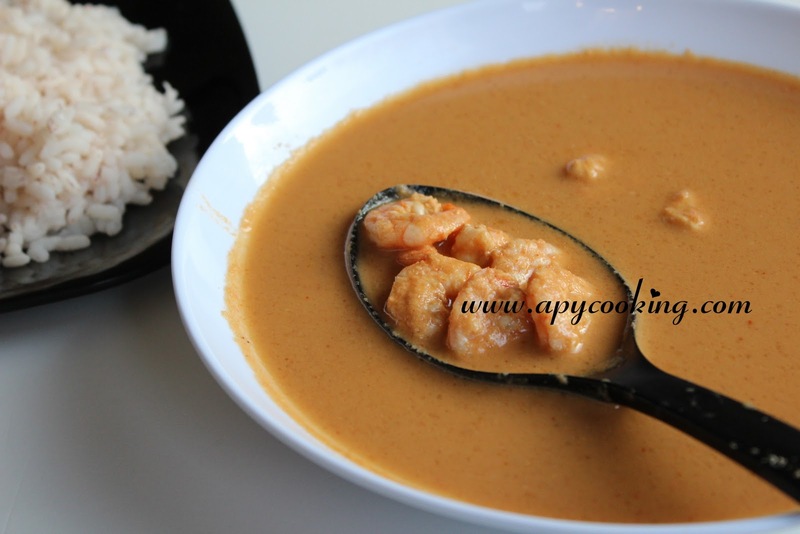 The hing (aesofotida) adds a punch to the prawns which are cooked in a spicy coconut gravy with a hint of tangy tamarind. 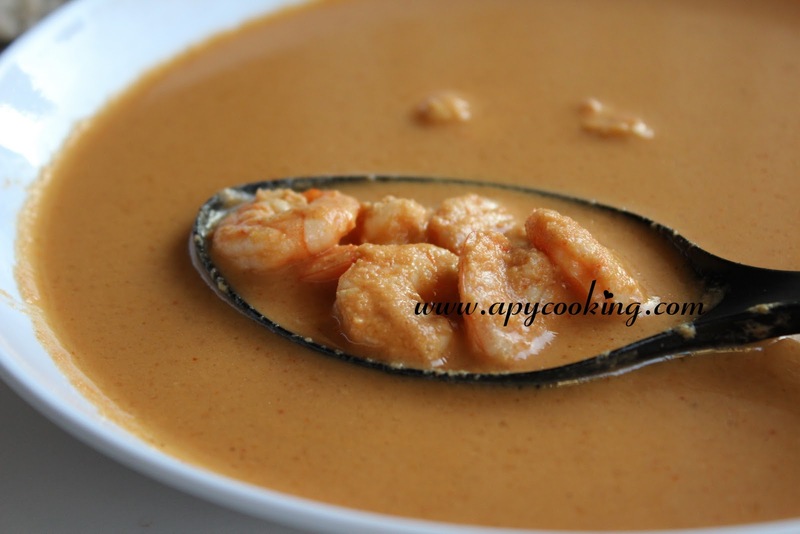 A day old dish is always preferred since the prawns would have soaked in all the spices. 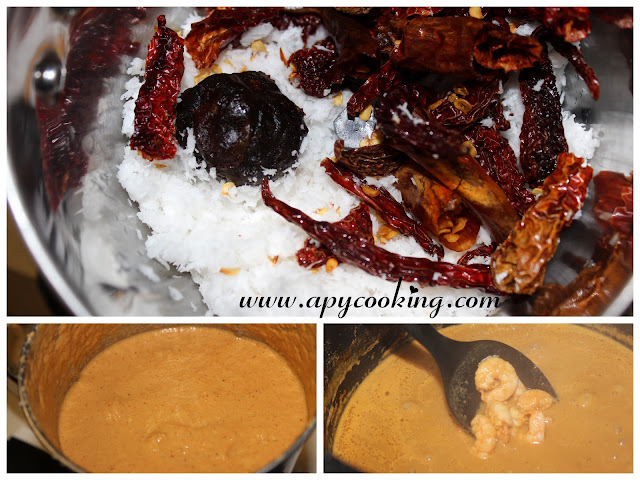 Grind coconut, chillies and tamarind with enough water (about 1 cup) and some salt to get a smooth paste. [Adjust the chillies according to your spice level]. 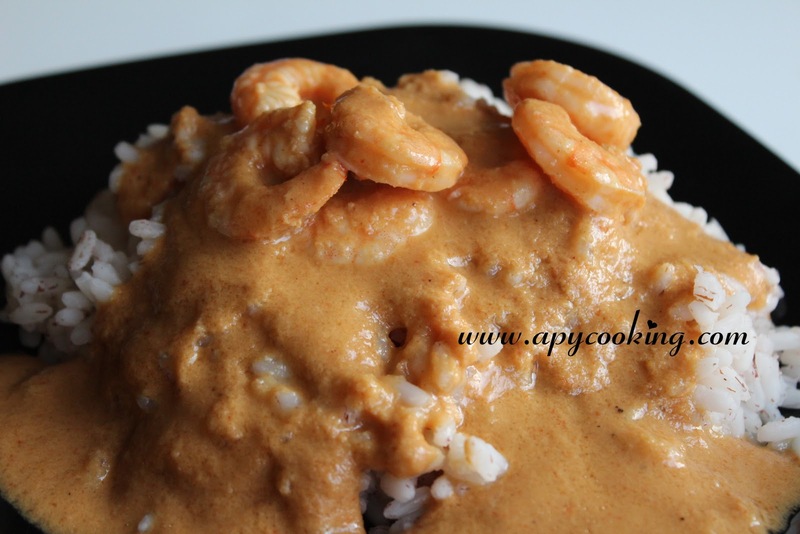 The paste has to be spicy to accommodate the bland prawns. In a deep-bottomed vessel, pour this paste and mix the prawns in it. Add more water and salt to taste and cook covered for 10 to 15 minutes. The shrimps will curl up and appear pink in colour. Switch the gas off. Add oil and hing powder and mix well. Adjust salt according to your taste. I like this dish slightly spicy and very slightly salty as it will be an ideal combination with rice. And by rice I mean "boiled" rice or "ukde sheeth". Seen in this picture is "kuthari brown rice" which I bought from an Indian store in Sunnyvale. Now all this plate needs is a piece of fried fish :)!! 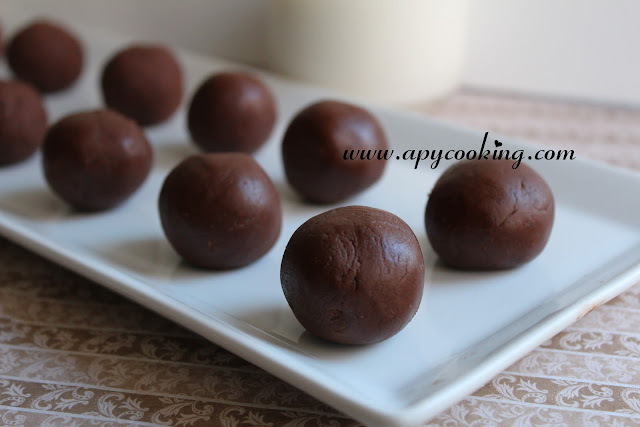 Here's an easy-peasy chocolate ladoo recipe from Rekha Vishwanath Nayak, who posted it on a social networking site. 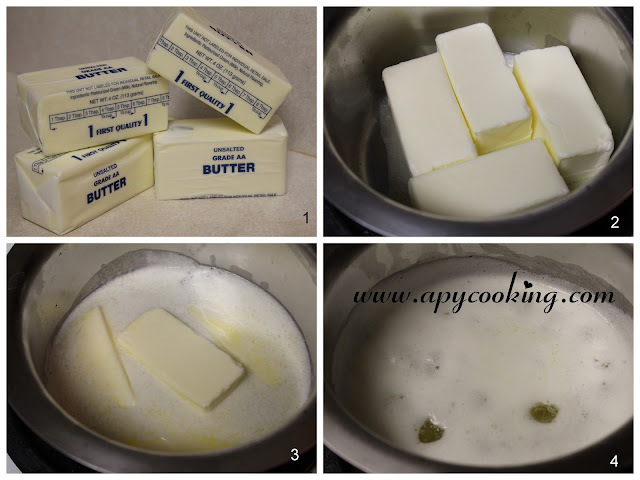 In a deep bottomed pan, melt butter on medium heat. Add all the other ingredients and mix well. Cook for 5 to 7 minutes on medium flame. Keep stirring as you cook, specially the last couple of minutes. Switch the gas off and allow to cool completely. Note: If you cook the mixture too long it can get dry after cooling so if you are not able to roll them into balls, you can make burfis out of them. If you cook the mixture for a shorter time, after cooling it may be too soft to roll into balls. 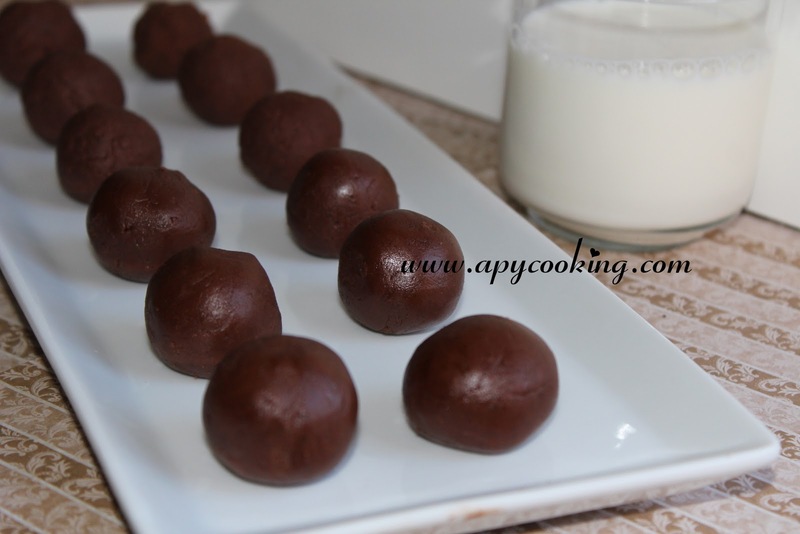 Try and roll them into balls anyway and refrigerate them, they will harden in a few hours. These ladoos taste better after they have set properly so it will be a good idea to make them a few hours or a day in advance. I just love the colour of pindi chana. The deep dark colour that disguises the otherwise off-white garbanzo beans makes the dish even more appealing. 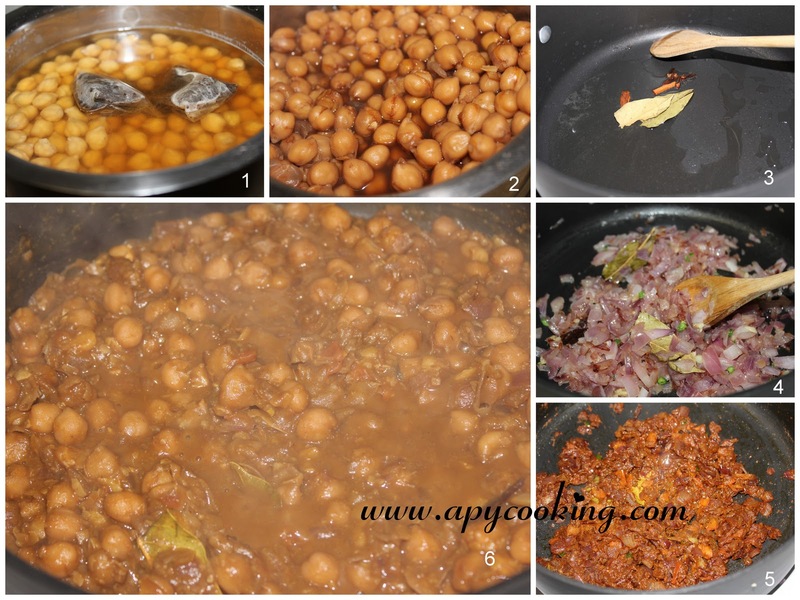 An aunt suggested adding a tea bag while cooking the garbanzo beans for the darker colour. It indeed makes a difference. 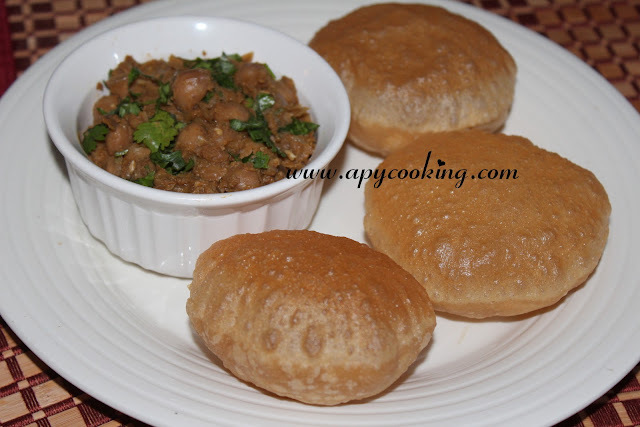 I went about with the rest of the dish just like I prepare chole, except that I did not add too much water for the gravy. 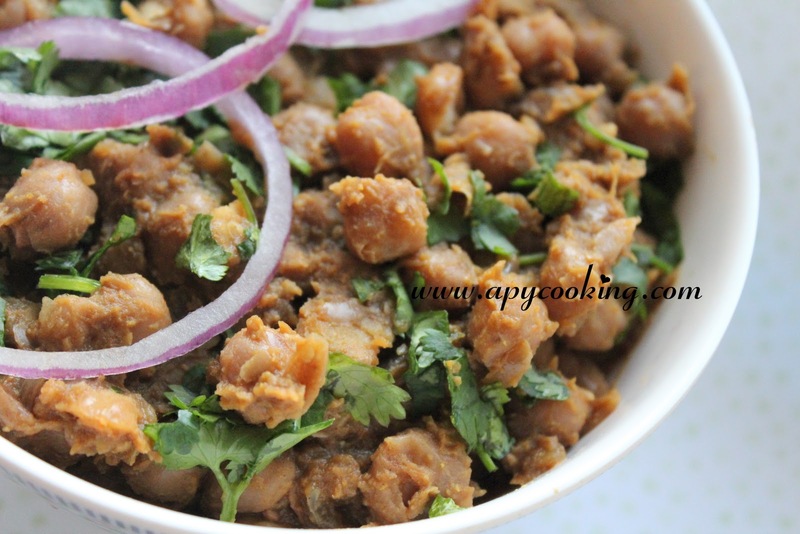 I used MDH chana masala powder for this dish. It contains dry mango and pomogrante seeds powder which give a nice tangy taste. If chana masala powder is not available you could replace with pomogranate seeds powder and dry mango powder. If either of the two are not available I guess you could add some tamarind paste. Soak garbanzo beans completely in water for 6 to 8 hours (overnight). Place tea bags on the chana and cook with enough water in a pressure cooker till completely cooked. Mix well. Meanwhile, in a deep bottomed pan, heat oil. Add cinnamon stick, cloves and bay leaves. Sauté onions till brownish. Add chopped ginger and green chillies and sauté. To this add the powders, some salt and roast well for a couple of minutes. Add tomato and roast till completely cooked. Now add the cooked garbanzo beans along with the water used for cooking. Mix well and cook covered on medium heat for 5 minutes, stirring in between. Add more water if required. Add salt and mix. Relish with puris, batura or chapatis.